Prior to starting his career, Michael received a bachelor’s degree in Social Work from the University of North Alabama and completed an internship at UAB Hospital. He then worked for East Alabama Medical Center, coming to us in 2012 as Office Administrator of our Opelika location. Michael now works alongside Glenn and Elizabeth as our Assistant Operations Manager, overseeing the day-to-day operations of all our locations. 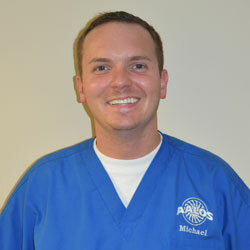 Michael is originally from Moulton, AL and now resides in Auburn. He enjoys spending time at Lake Martin, and rooting on those Auburn tigers!